3 bedrooms 2 bathrooms with forest views and verandah to watch the birds fly by. Previous guests have written - Fabulous house and amazingly priced for what is offered. Super close to the main town centre but in a lovely quiet street close to woodlands. Would definitely recommend this to anyone. Once in our privately owned home you will find it a great place to unwind from City stresses then you can go and sample the local wines, cheeses, boutique breweries, great restaurants and cafes, wander through the many bush walking and cycling trails through the forest, or a picnic on the river bank, visit galleries or just sit on the balcony and read a book. The master bedroom (king size bed)with Juliet balcony boasts a spacious open ensuite with separate shower, toilet and 2-person bath. Bedrooms two (queen size) and three (three singles) are both generous in size, second bathroom and separate toilet. The well-equipped kitchen is stylish and has all the mod cons at your fingertips. The workspace overlooks the dining lounge room to the sunroom and forests belong. The glassed in balcony brings the outdoors in. The rear of the home has a separate air-conditioned lounge room with plasma TV. It is a 15 minute drive to the Indian Ocean and Margret River meets the Indian ocean at Prevelley Beach which is known for swimming, surfing, canoeing, wind surfing and long walk along the beach. it is a 2 minute walk into the village where one can find interersting shops, cafes and resturants of all cuisine. Two car locked garage plus driveway can take another two. This home was all that we hoped for and more. The bedding and manchester was luxurious. This home has all the facilities, laundry and a good amount of laundry powder, extra towels for the bathrooms, and even large bottles of make up remover and make up pads in each bathroom. The small touches really made this place. It has quite a few seating areas and options for music scattered throughout the house. The house was very clean on our arrival. We would definitely return to this home, the location just off the main strip is also a huge bonus. Thank you for allowing us to stay in your home. Great location, beautiful and spacious. Thank you for your review and hope you come back again to enjoy Margaret River. The villa is very conveniently located for visiting all the stunning Wineries in the Margaret River area. This property was spacious and immaculate, offering everything we needed for our short stay in Margaret River. Short walk to town made it convenient for eating out. A pleasure to deal with and a very easy booking. We enjoyed our stay. Perfect location to visit to Margaret River region and being off the main road means a quiet stay. My family and I throughly enjoyed our stay. Perfect accommodation for an adult family. 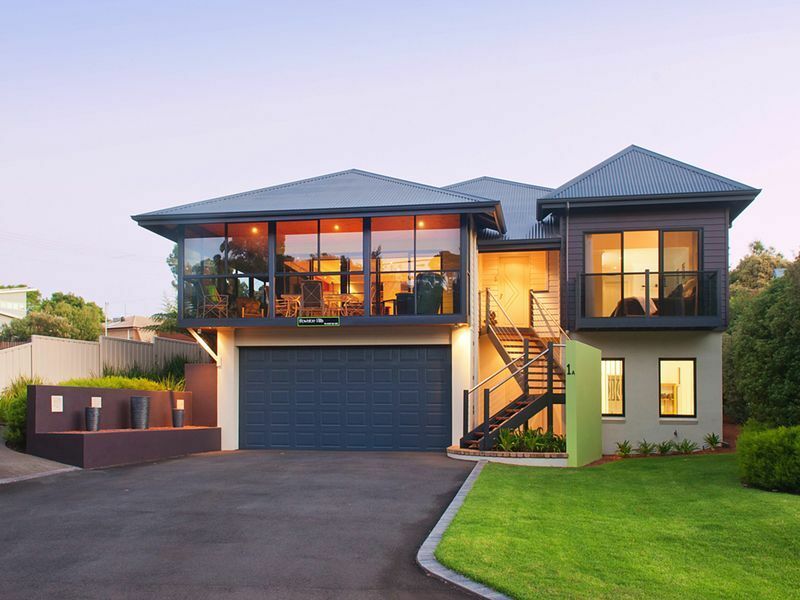 The house is situated in the town of Margaret River a 2 minute walk to the main street where you will find the restaurants, pubs, grocery shops, boutique shops, beauty salons, then across from the house you can do forest walks or bike trails or canoeing. Then in the car you can drie for 15 minutes and be at the beach or vist many of the wineries that are in Margaret River.